Dr. Hauser’s research group focuses on the fabrication and study of new electronic and magnetic materials. The group seeks to understand new physics that can be applied to the next generation of device technologies. Functional materials research is highly multidisciplinary, combining concepts of physics, chemistry, engineering, and biology to sit at the interface of scientific interest and future technology. In this rich research environment, the Hauser group seeks to make advances on an array of topics from spintronic materials to nanoparticle/polymer chemical sensors. Dr. Hauser received his PhD in Physics from The Ohio State University in 2010. 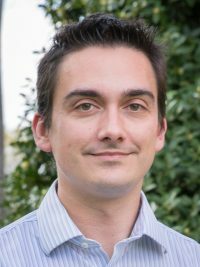 He won the California NanoSystems Institute Elings Prize Postdoctoral Fellowship to conduct research at the University of California Santa Barbara from 2012-2015. Dr. Hauser joined the faculty of The University of Alabama in 2015.